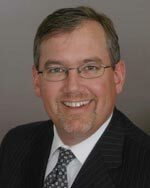 Edward W. Gleason has more than twenty years of experience evaluating insurance issues and litigating coverage disputes, primarily on behalf of insurer-defendants. 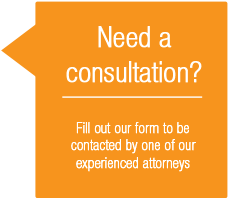 Ed has practiced in jurisdictions throughout the country, and managed insurance coverage and bad faith cases in state and federal, trial and appellate courts alike. For instance, Ed has managed numerous coverage disputes involving first-party property, boiler and machinery and third-party liability insurance policies. The subject of the claims involved in these disputes has ranged from traditional property perils under all risk and named peril policies, to breakdown of equipment, time element losses, environmental, pollution and asbestos coverage matters. In addition, many of these matters have involved the defense of bad faith claims. Ed has also provided legal counseling and representation in other insurance-related matters, including negligent inspection claims, tort claims arising out of state certificate and ASME inspections, Y2K remediation claims, subrogation claims, and the drafting of insurance policy language. Representative appellate level cases include a successful appeal to the U.S. Court of Appeals for the Eighth Circuit in Altru Health System v. American Protection Ins. Co., 238 F.3d 961 (8th Cir. 2001), where the issue was whether a sublimit of liability for one flood occurrence applied, or whether the loss was subject to the interruption by civil authority coverage, and the Eighth Circuit held the flood sublimit applied; and a successful appeal to the Illinois Appellate Court in A.M. Castle & Co. v. American Protection Ins. Co., No. 1-01-3166 (Ill.App. 1st Dist. 2002), where the First District found that an exclusion for errors in machine programming or instructions to machines applied. In both cases, Ed’s client lost in the trial court, where they were represented by other counsel, but prevailed in the appellate court after retaining his former law firm. Ed has also handled several appeals in the Sixth and Seventh Circuit Courts of Appeals, including a case involving the enforcement of an appraisal award and an unjust enrichment claim in Jupiter Aluminum Corp. v. Home Ins. Co., 52 F.Supp.2d 885 (N.D. Ill. 1999), aff’d., 225 F.3d 868 (7th Cir. 2000), and a case involving application of a refractory exclusion in an all-risk policy in Indiana Harbor Coke Co. v. Hartford Steam Boiler Inspection and Ins. Co., 107 Fed.Appx. 505, 2004 WL 1794608 (6th Cir. 2004). Representative summary judgment results include lawsuits arising out of the August 14, 2003 Blackout, such as Four Star Brothers, Inc. v. Allied Ins. Co., 2006 WL 148754 (E.D.Mich. Jan. 19, 2006), and Lyle Enterpryzes, Inc. v. Hartford Steam Boiler Inspection and Ins. Co., 399 F.Supp.2d 821 (E.D.Mich. 2005); coverage litigation following Hurricane Katrina in 2005, such as Joey Oyster, Inc. v. Hartford Steam Boiler Inspection and Ins. Co., 2007 WL 3353409 (E.D.La. Nov. 9, 2007); and LaBelle Maison Associates v. Hartford Steam Boiler Inspection and Ins. Co., 2008 WL 544674 (M.D.La. Feb. 28, 2008); and cases applying policy exclusions, such as Tower Automotive, Inc. v. American Protection Ins. Co., 266 F.Supp.2d 664 (W.D. Mich. 2003) (contract penalty exclusion), Sports Arena Management, Inc. v. Great American Ins. Group, 2007 WL 684003 (N.D.Ill. Mar. 1, 2007) (corrosion exclusion), and Dorsett Brothers Concrete Supply, Inc. v. Northbrook Prop. and Cas. Ins. Co., 1995 WL 559379 (S.D. Tex. 1995) (absolute pollution exclusion). Ed has also handled other types of commercial and insurance matters, including an ERISA matter where he achieved summary judgment for his firm’s client inMadaffari v. Metrocall Companies Group, 2004 WL 2646681 (N.D.Ill. Nov. 18, 2004). Ed resides in Arlington Heights, Illinois with his wife Julie, and their three children: Carly, Joe and Zach, where he is active in the community, including administering and coaching youth football and baseball programs. Illinois (1990); U.S. District Court, Northern (1990) and Central (1996) Districts of Illinois; U.S. District Court, Eastern (2002) and Western (2002) Districts of Michigan; U.S. District Court, Northern District of Indiana (2002); and the United States Court of Appeals for the Sixth (2002), Seventh (1996) and Eighth (2000) Circuits. Past results are discussed herein to provide the reader with an indication of the type of law practiced, and should not be construed to create an expectation of a result in any other case, as all cases are dependent upon their own unique facts and applicable law.